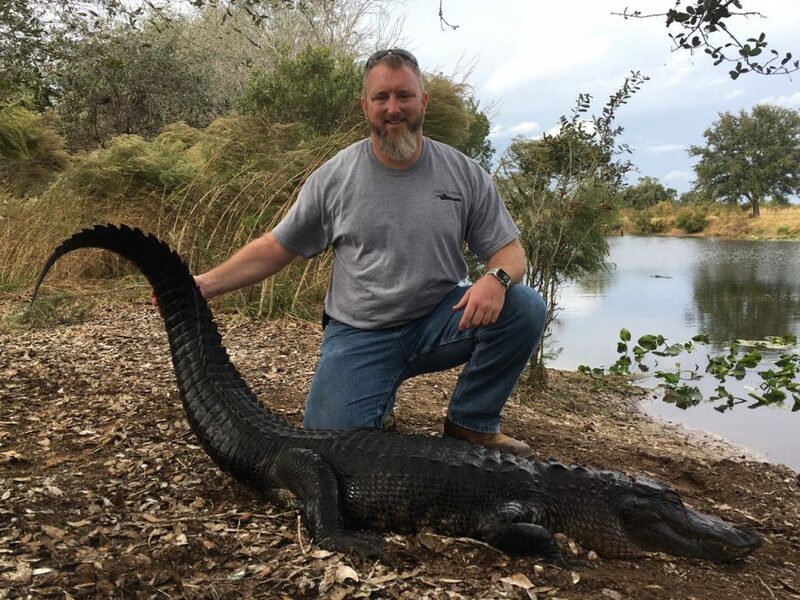 A good friend and a great gator hunter! 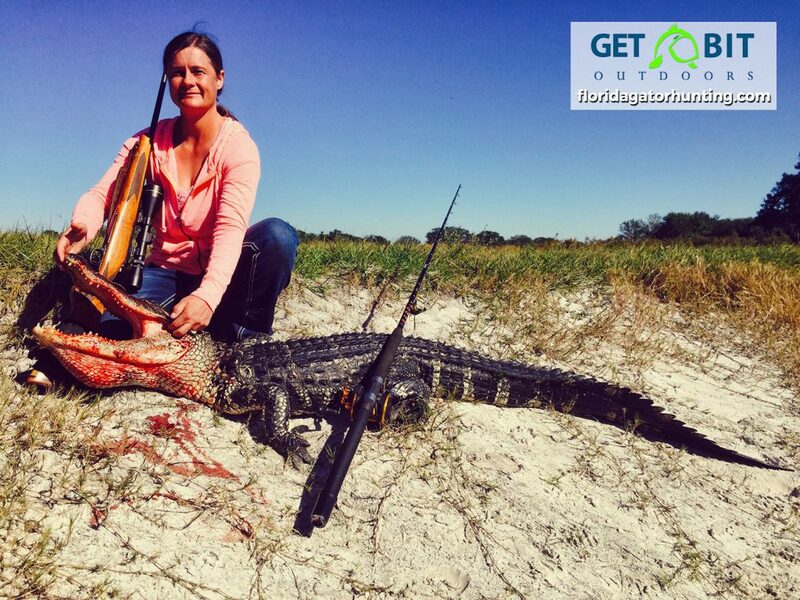 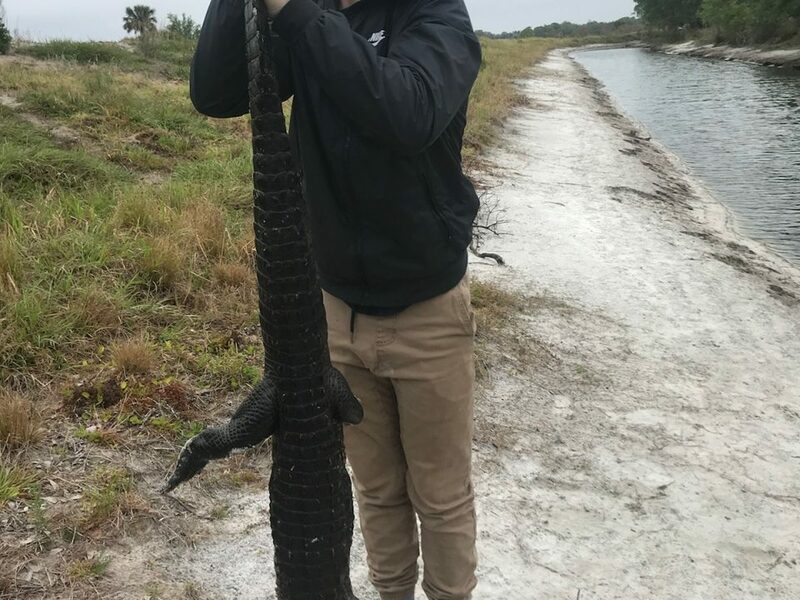 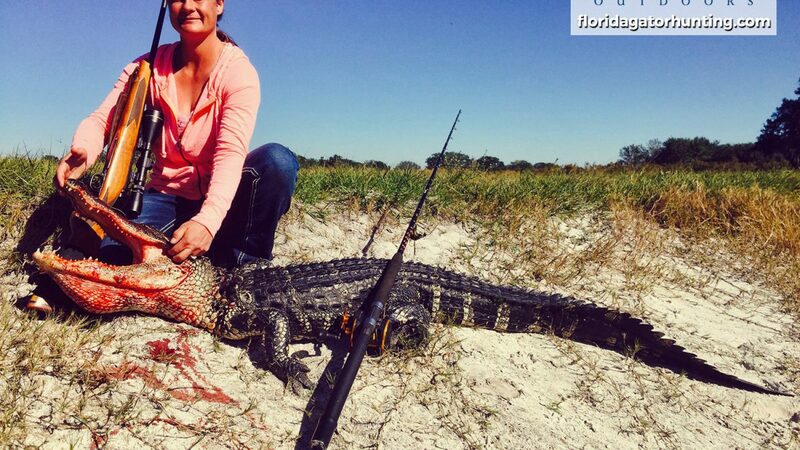 Renee took advantage of our year round gator hunting and tackled a beast on all her own. 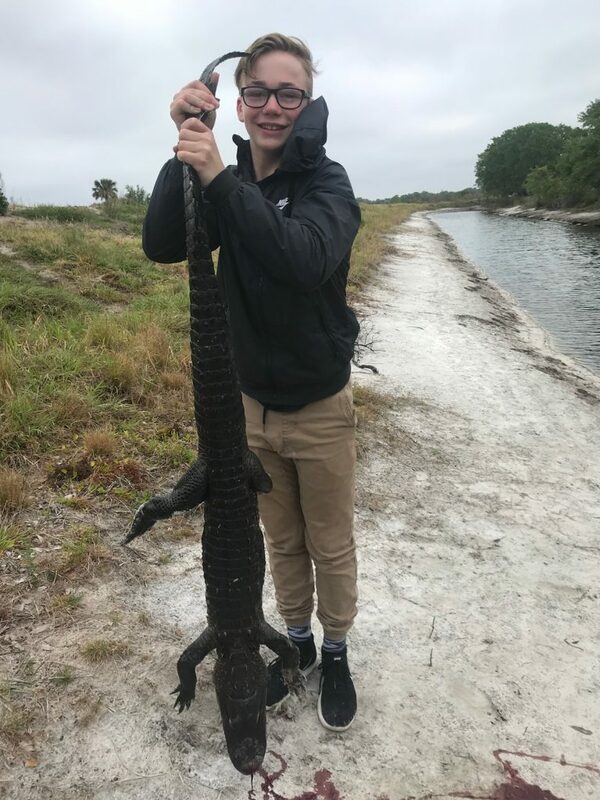 Renee did an awesome job fighting the alligator on rod and reel for about 25 minutes before the gator gave up the ghost after a perfect head shot from a .243. No matter the reason, it is always Gator Season! 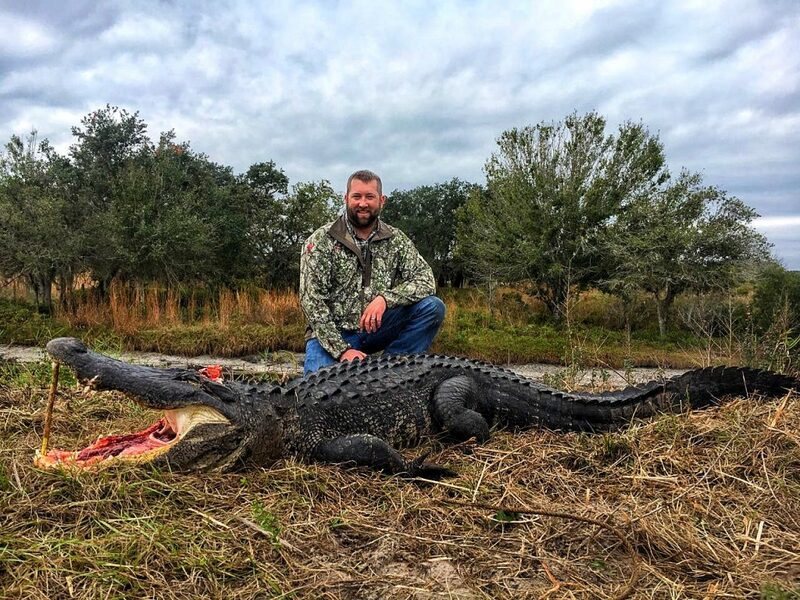 We hunt 365 days a year, Book your hunt today!.